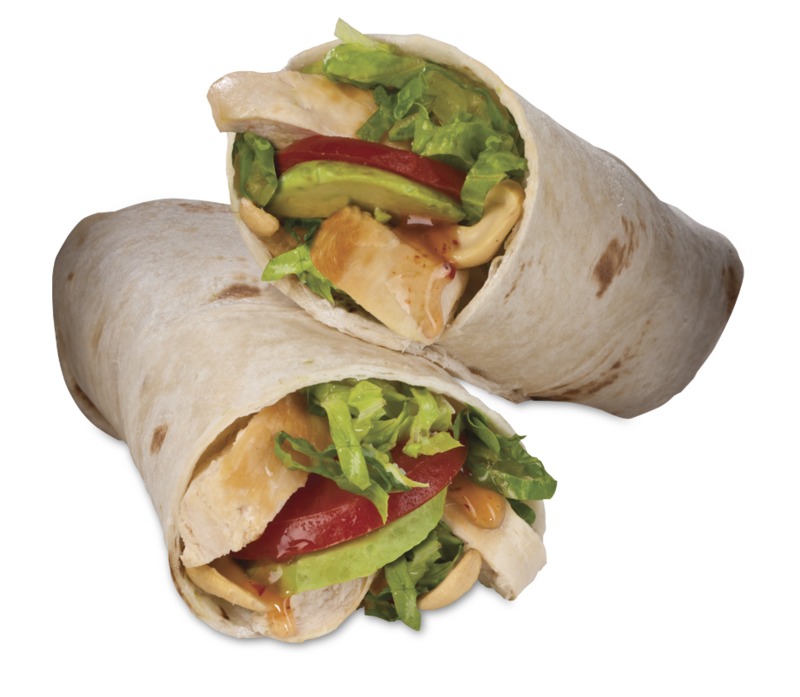 Grilled chicken, cashews, lettuce, tomatoes, avocado, Thai chili sauce and Mandarin sesame dressing. Turkey, bacon, cheddar/jack cheese blend, green onions, avocado, lettuce, tomatoes and Ranch dressing. 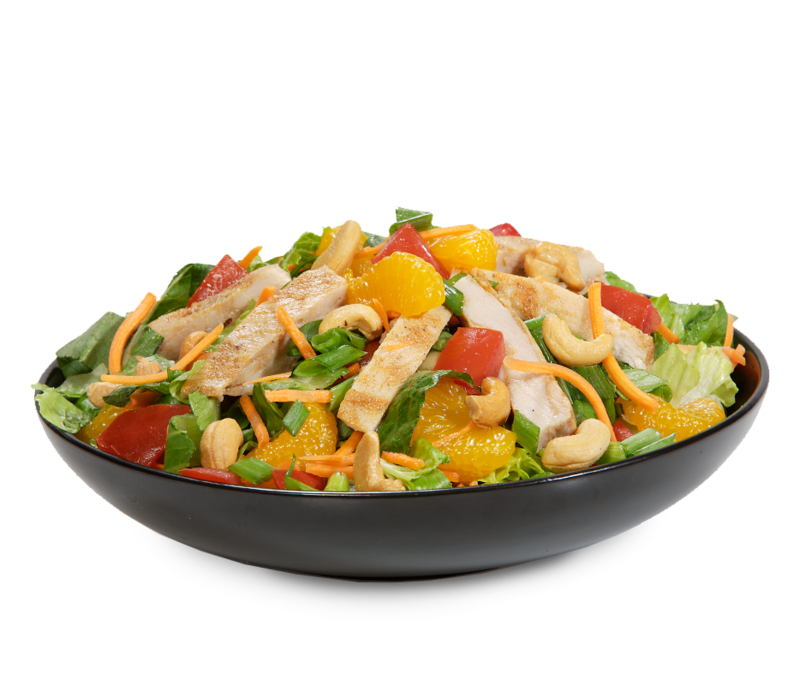 Chopped greens, carrots, green onions, tomatoes, Mandarin oranges and cashews topped with grilled chicken and Mandarin Sesame Dressing. Rollerz is where fast meets fresh! We’re designed to meet the growing demand of on-the-go consumers who care about what they eat. 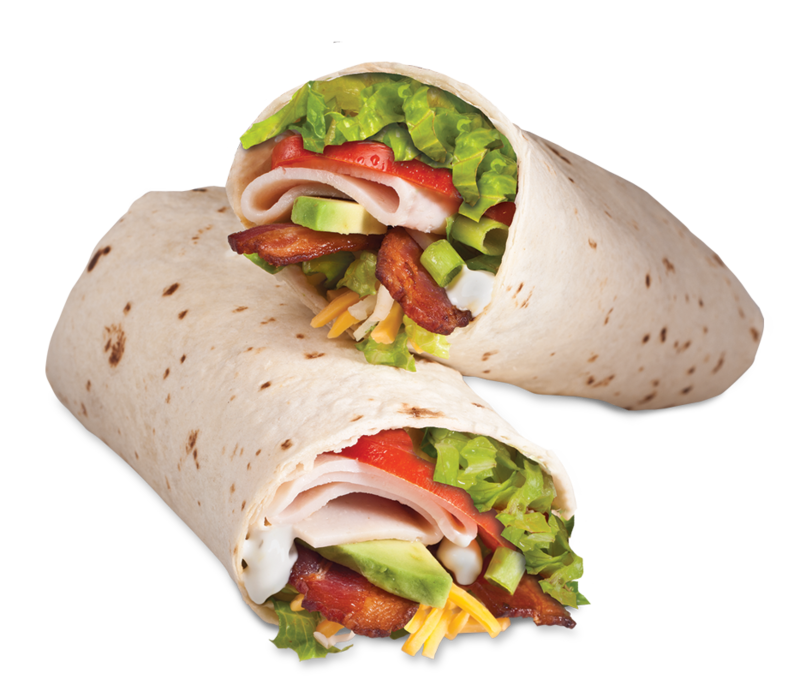 The Rollerz menu offers specialty meats such as fajita-seasoned chicken breast and deli-sliced honey-cured ham, gourmet cheeses and fresh vegetables, topped with specialty sauces all rolled into a tasty tortilla. The menu also includes savory salads, signature soups and healthy snacks that offer nutritious options to support active and healthy lifestyles. Rollerz is offering franchises to qualified individuals for single unit franchises as well as Master Franchise rights and Area Development Agreements. Rollerz seeks individuals who are willing to put forth the time and effort necessary in order to realize the maximum potential attainable from each franchise location. We take great pride in using only the highest-quality, freshest ingredients and combining it all at an affordable price.